Sixteenth-century Protestant authors were also apt to see a connection between the return to ancient sources and the reformation of Christianity. Criticism of the institutional Catholic Church and an emphasis on the original Christian gospels promoted by sola scriptura called for a quest for “true Christianity,” a return to a pristine religion. For example, Jacques Lefèvre d’Etaples (1455-1536), John Calvin’s teacher and the man who paved the way for the Reformation in France, was a Christian humanist who advocated not only a reformation of religious life and the dissemination of the Bible in the vernacular, but also a return to the ancient teachings of Hermes Trismegistus and the Hermetic Traditon. Thus when, in the course of the seventeenth century, the new science came in for appraisal, that appraisal was powerfully shaped by historical categories and terminology devised by Renaissance humanists. According to J. B. Bury (1861-1927) and R. F. Jones (1886-1965), seventeenth-century scholars repudiated antiquity for the “new philosophy,” advanced by the constant invocation of “the new” in their works, such as Kepler’s New Astronomy, Bacon’s New Organon, Galileo’s Two New Sciences and so on. In other words, Bury and Jones—and still many today—were deceived by appearances. Dan Edelstein has demonstrated that the seventeenth-century was not a quarrel between the Ancients and the Moderns; no, it was the formation of an idea—or more accurately, a narrative—of progress that thinkers like Voltaire, Condorcet and others constructed, and that later scholars took up without question. Voltaire, for example, in his Essay on the Manners and the Spirit of Nations (1747-1751) and his Age of Louis XIV (1752) aimed to “write a history of the human spirit, of manner and customs, based on the premise of indefinite progress.” Although he never offered a connected account of the development of natural philosophy, “his many passing comments added up to an influential interpretation” that saw history as stages of progress. This optimism of progress reached a crescendo in Condorcet’s Esquisse d’un tableau historique des progrès de l’esprit hamain (1795), where he pronounced the triumph of Christianity as “the signal for the complete decadence of philosophy and the sciences.” Thus the progress we see in the seventeenth-century, according to Condorcet, was quite dramatic, revolutionary in fact. Key figures in his scheme are, of course, Copernicus, Galileo, Bacon, and Descartes. What is remarkable about this scheme, says Lindberg, is its “unanimity of opinion.” “Everybody who addressed the question accepted a tripartite division of cultural history into ancient, medieval, and modern periods.” Antiquity was a glorious period of vast learning, only to be followed in the medieval period by total darkness, and now finally, in their own, modern period, the light of the ancients have returned, alongside the new lights of Copernicus, Galileo, Bacon, Descartes, and Newton. This same schema of progress and periodization continued in historiographic developments of the nineteenth century. We see it, for example, in Auguste Comte (1798-1857), William Whewell (1794-1866) and others. According to Comte, all sciences pass inevitably through three stages: the theological, or fictitious, in which the human mind seeks essences and ultimate causes; the metaphysical stage, in which nature and abstract forces are substituted for divinity as the causes of phenomena; and finally the stage of “positive” science which the mind gives up the quest for absolute notions, the origin and destination of the universe, and the causes of phenomena and applies itself to the study of their laws. 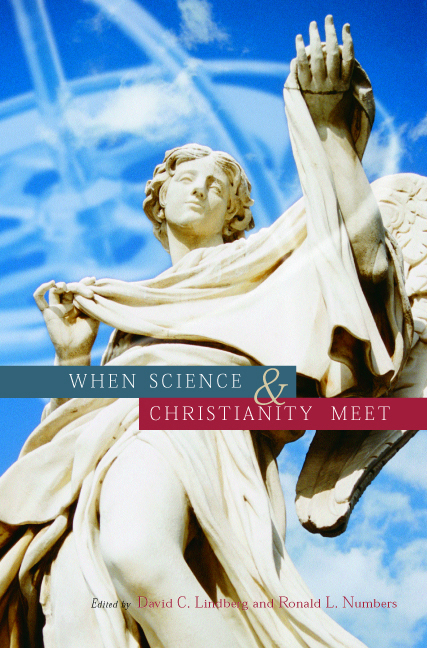 For Whewell science proceeds by progressive generalization, from bare facts to general truths. Old truths are never truly overturn but are modified by subsequent discoveries and become a permanent part of the body of knowledge. According to Lindberg, Whewell’s purpose was to “establish his philosophy of science on the basis of historical investigation.” As such Whewell ventured a detailed history of the sciences—from Greek natural philosophy to the achievements of his own era. But predictably in his account the accomplishments of antiquity were followed by the long, stagnate, Middle Ages, a time of darkness, subservience, and dogmatism. Lindberg then follows with an account of how medieval science was rehabilitated by scholars such as Pierre Duhem (1861-1916), Charles Homer Haskins (1870-1937), and Lynn Thorndike (1882-1965), and, as a result, for the first time in over three hundred years, the traditional schema and periodization came under serious historical attack. But this new group of scholars encountered stiff opposition from the outset. The counterattack, led by Burtt, Koyré, and Butterfield, reasserted the significance of the scientific revolution, and thus the schema and periodization of a previous generation of scholars. Therefore what distinguishes Lindberg’s account of the historiographic history of the scientific revolution from others, including I. Bernard Cohen’s, is his interest in the conceptions of sixteenth- and seventeenth-century science and natural philosophy. This conception of the progress of knowledge and a shared periodization of history is, according to Lindberg, a remnant of the humanist vision and not simply a creation of Enlightenment philosophes.